5 great reasons to download the Kineo Insights Report today! The latest Kineo Insights report is hot off the PDF presses! Think of it as an early Christmas present - a stocking filled with insightful nuggets, analysis, and trends. Definitely worth the read over your morning cup of joe. 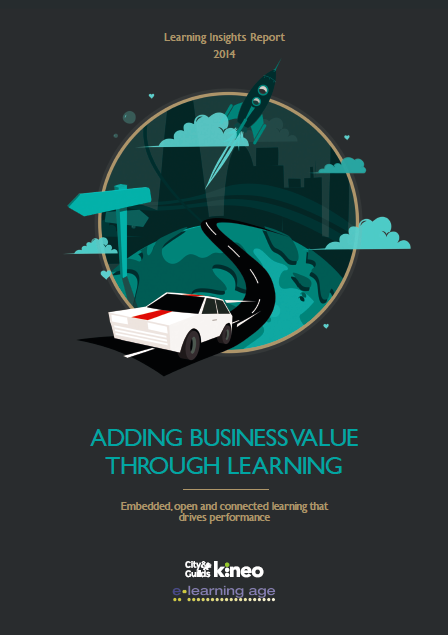 What is the Kineo 2014 Learning Insights Report? Insights and analysis from 35 leaders at stand out organizations all around the world who shared their views with us on what's happening in the real world. Traditional instructional design skills are not going away but there is an increase in consulting skills required. The learning team has to consult with the business on how to improve performance because it is “no longer about the learning team delivering improvements through training”. One L&D manager argued “learning team members need to be able to talk more about ‘learning strategies’. 2. The Learning Campaign campaign has taken off! ‘Campaigns’ has certainly entered the learning lexicon this year. A number of businesses are taking more of a campaign or change management approach. One L&D manager said it is no longer “one and done” but rather “building on key messages and taking people along through a communication strategy”. One company was using post-learning assessments and reviews rather than built-in assessments to help achieve behavioural change and application in the workplace. They ask each learner “What will you commit to do differently because of the training?” They also get learners to work closely with managers to agree a plan of action and to demonstrate that they are applying training. Cammy and Connie in Podcast Form! Connie Malamed, world renowned as The eLearning Coach, and one of the better human beings in this world, interviewed me for a podcast a few weeks ago. I haven't listened to it (I mean, who wants to hear her own voice? ), but Connie assures me that we both sound reasonably intelligent. Want more from Cammy? 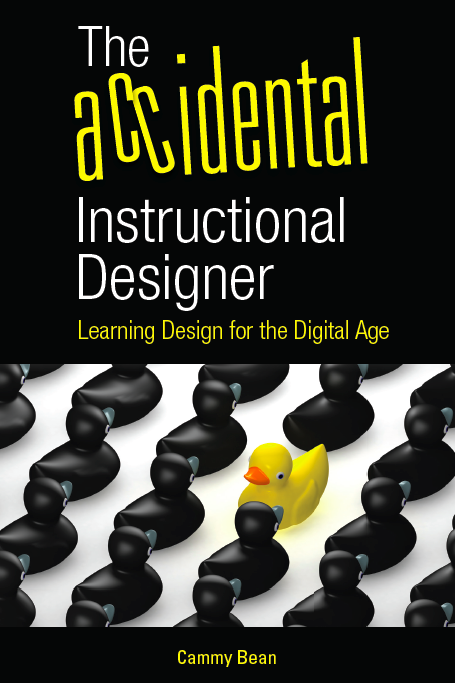 Be sure to grab your copy of The Accidental Instructional Designer: Learning Design for the Digital Age.